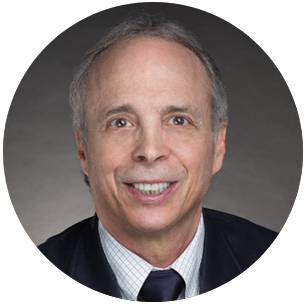 Ethan Russo, MD, is a board-certified neurologist, psychopharmacology researcher, and Medical Director of PHYTECS, a biotechnology company researching and developing innovative approaches targeting the human Endocannabinoid system. Previously, from 2003-2014, he served as Senior Medical Advisor and study physician to GW Pharmaceuticals for numerous Phase I-III clinical trials of Sativex® for pain and MS, and initial studies of Epidiolex® for intractable epilepsy. He graduated from the University of Pennsylvania (Psychology) and the University of Massachusetts Medical School, before residencies in Pediatrics in Phoenix, Arizona and in Child/Adult Neurology at the University of Washington. He was a clinical neurologist in Missoula, Montana for 20 years. He has held faculty appointments in Pharmaceutical Sciences at the University of Montana, in Medicine at the University of Washington, and as visiting professor, Chinese Academy of Sciences. He is a Past-President of the International Cannabinoid Research Society, and former Chairman of the International Association for Cannabinoid Medicines. He serves on the Scientific Advisory Board for the American Botanical Council. He has published several books, numerous book chapters, and over forty articles in neurology, pain management, cannabis, and ethnobotany. He has consulted or lectured on these topics in more than 30 US states and 30 countries.